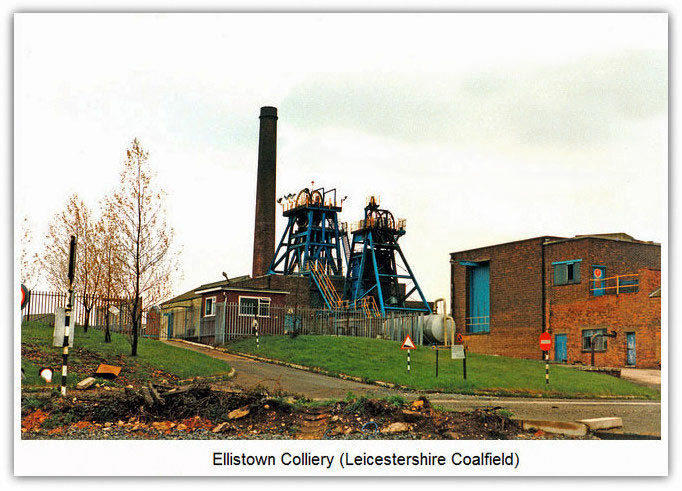 Ellistown (Leicestershire ) sunk at Ellistown village to 321m 1874-1876 (Joseph Joel Ellis) died 1890, Executors of to 1900, Ellistown Colliery Co 1900 - closed Feb 1989 and abandoned 5th October 1989. Bagworth and Ellistown merged to form one complex in 1986. The ventilation was effected by a steam driven high speed Waddle fan for many years. A Rescue team was set up in 1912-1913. In 1933 the colliery Ambulance Brigade were winners of the Leicestershire and South Derbyshire Ambulance Challenge Cup. Colliery housing was in rows. The pit was closed temporarily in 1938 due to quota restriction. Pithead baths were opened in 1953. Ponies were still used underground until the late 1950s or early 1960s. 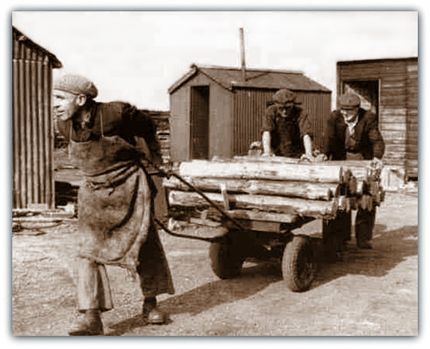 Men using a rubber tyred truck on the surface moved materials from the stockyard for use underground. The roof to the winding house had to be repaired in 1957. A new stores was built in 1957-1958. No1 winder was reconditioned in 1959. A Trepanner cutter loader was installed in 1963. 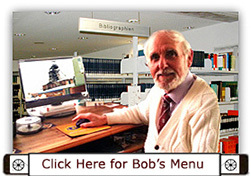 There was a major surface reorganisation from 1971-1975. A steering device was installed on a face machine in 1975. Dowty 6 / 240 chocks on 63s face 1977. An Eimco shovel introduced in the same year. New fan drift driven in 1978. In 1981 a DERDS with a spiral cutting head was installed. In the packholes clothing / mesh with chock nogs. A Panzer Pan Launcher was operational in 1984. Roadrailer trapped rail system and Becorit materials handling in some gates. A chock building station was constructed underground in 1984. Bagworth shaft sunk 1828-1829 and a second shaft sunk 1885 to 279m incorporated Nailstone sunk 1863-1865. A surface drift 585m long was driven in 1958-1959 at Nailstone end and the output was diverted underground and raised there into the coal preparation plant in 1971. DW Bettison (10734) Oct 1989. David A Woodward (5399) -1989 (transferred to Bagworth). Fatal Accidents Ellistown: see reference earlier.